With all of the products that we put on our skin and hair on a daily basis, sometimes we just need a good detox. A Bentonite Clay Mask detoxifies the skin & hair by drawing out harmful toxins and impurities, leaving behind refreshed skin and hair. It can be used for facials, acne, clay baths, foot soaks, insect bites, clarifying hair and more! Bentonite Clay is a highly absorbent healing clay with health and beauty benefits, and is a common ingredient in detox and deep cleaning products. Calcium Bentonite Clay is made from weathered and aged volcanic ash, and the largest and most active deposits comes from Fort Benton, Wyoming- hence the name. When saturated with liquid, Bentonite Clay develops an electrical charge that draws out toxins, heavy metals and other impurities from the skin. It also removes product build up from the hair and scalp, improving moisturization, shine, softness and curl definition. 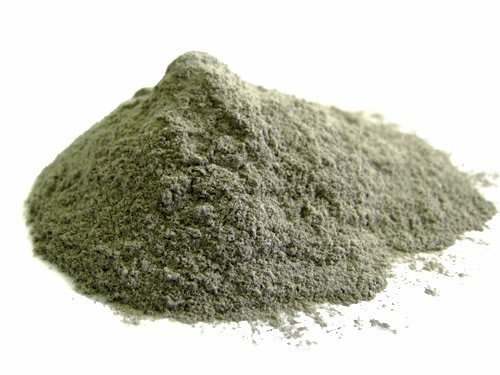 Bentonite Clay comes in powder form and can be mixed with water and/or apple cider vinegar to make a paste for the Bentonite Clay Mask. Never use metal utensils with Bentonite Clay as it reduces it’s effectiveness, use plastic or glass instead. 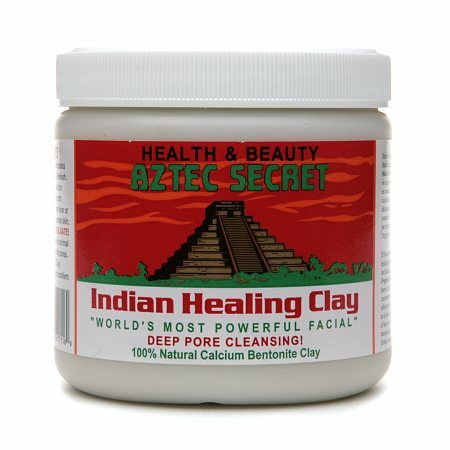 For my Bentonite Clay Mask, I used the Aztec Secret Indian Healing Clay and mixed 4 tablespoons with 1/4 cup of Apple Cider Vinegar, and a 1/4 cup of water. Apple Cider Vinegar is an anti-inflammatory, anti-fungal and anti-bacterial. It balances pH, combats dandruff and soothes dry skin. I used water to dilute the mix since Apple Cider Vinegar is pretty strong. This mix was kind of on the loose side, but you don’t want to make the paste too thick when applying to the hair as it will be hard to rinse out. I applied the mixture to my face and hair and let it dry completely for about a half hour. While the mask was drying, I could feel my face tingling and getting tight so I assumed that it was working. 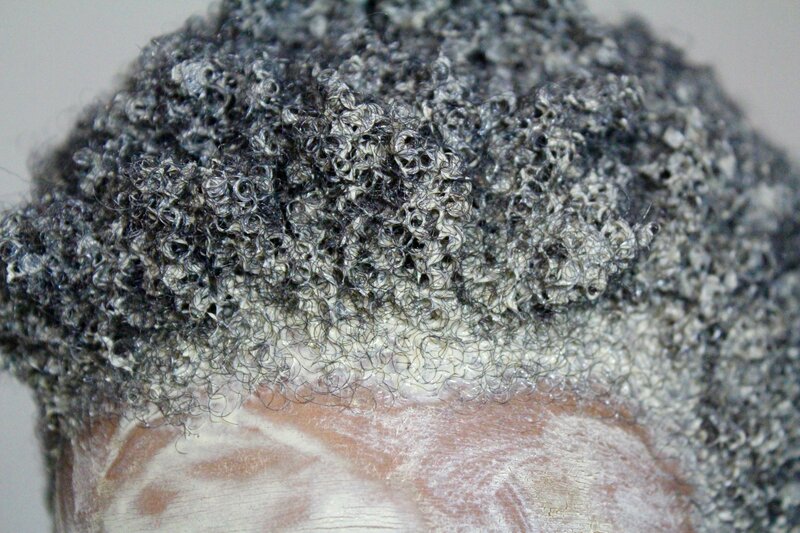 Immediately after applying the mask to my hair I could see my coils popping, and knew that I would have great results when I washed it out. The mask was easy to rinse off from my face and my hair. My skin felt super smooth and refreshed, and all of the pesky whiteheads around my nose and on my chin were gone. My face also looked brighter. The star of the show was my hair though. After rinsing the Bentonite Clay Mask from my hair, I deep conditioned and styled in a Wash n’ Go. My hair came out super moisturized and defined! Overall, I loved the results that I achieved using the Bentonite Clay Mask on both my hair and skin. 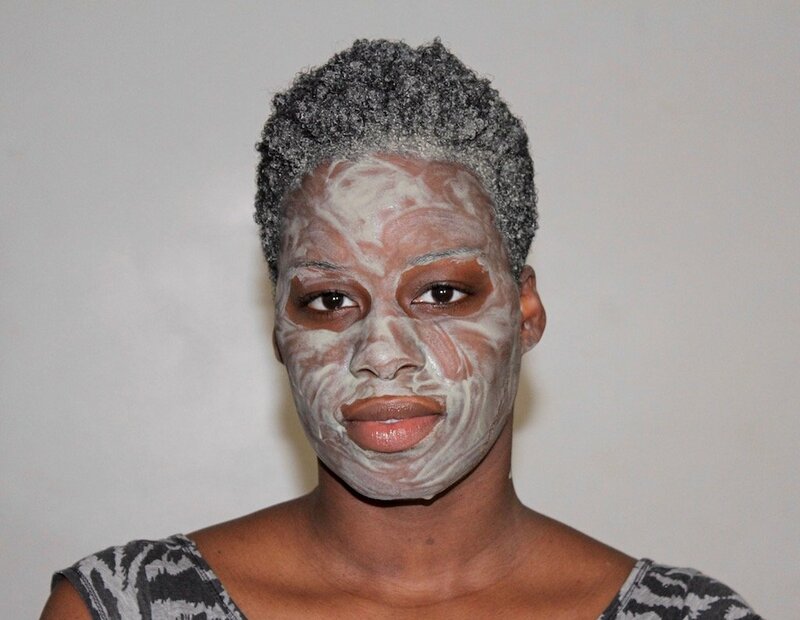 I plan to include Bentonite Clay in my regular routine and can’t wait to try other uses! 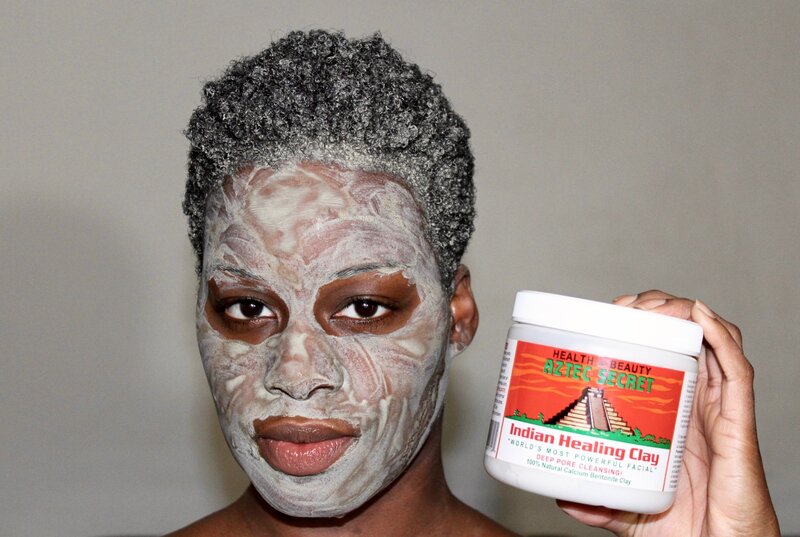 Have you tried a Bentonite Clay Mask? Interesting! Thanks for sharing can’t wait to try this! Do you think if pregnant it will be ok? You’re welcome. I’d highly suggest that you consult with your doctor before you try this! I love doing clay rinses! I usually mix it in an applicator bottle with distilled water or aloe vera juice, coconut vinegar, a drizzle of a ceramide rich oil, and essential oils. I love the results I get for my transitioning hair . My patience for clay masks (for my hair) is thin but it’s a welcome addition to the regimen for my face. I just mix clay and vinegar when I use it on my face. This sounds great. Next time I do the clay mask on my hair I think I’ll add a bit of Coconut Oil! So trying it out! Thanks! Thank you so much for sharing. 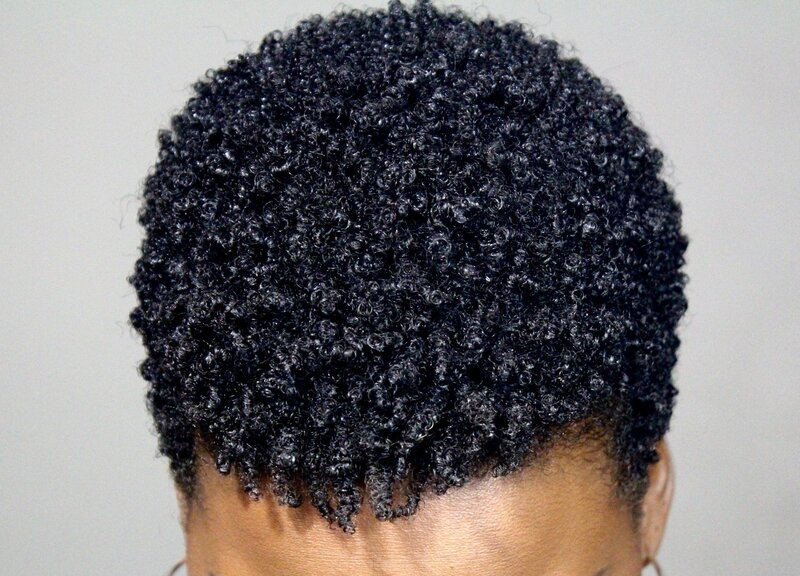 Think I need to try this as I’ve been trying to grown out my tapered cut for awhile and my hair just isn’t growing. Dexto is what I think I need. You’re welcome. Make sure you keep your hair moisturized and trim on the regular. That should help! I use this clay mask at least 3 times a week. Since using it I have seen a tremendous change in my skin. However, I did’t know you could use it in your hair. Yes, I love it for the hair! Thanks for sharing! I will be trying this! How often should the mask be done on the hair and also how often for the face? However often you feel your hair and/or skin needs the treatment.